Similar to the field-level data type conversion performable in any IRI software product, you can also use a string encoding function to de-identify personally identifiable information (PII) or protected health information (PHI). IRI FieldShield software in the IRI Data Protector suite provides simple access to reversible encoding functions that convert ASCII to binary data. Base64 & hex methods are also supported. Unlike the strong encryption functions built into FieldShield, encoding is not a particularly secure method of de-identification. It is not uncrackable and does not require any passphrase or key to reverse. However, it is convenient and secure enough for some applications. 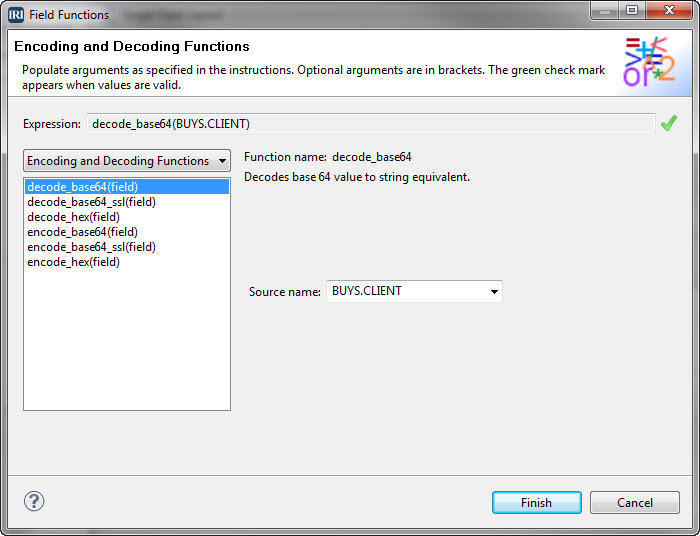 Only the equivalent decoding function provided in FieldShield will reveal the original source values.